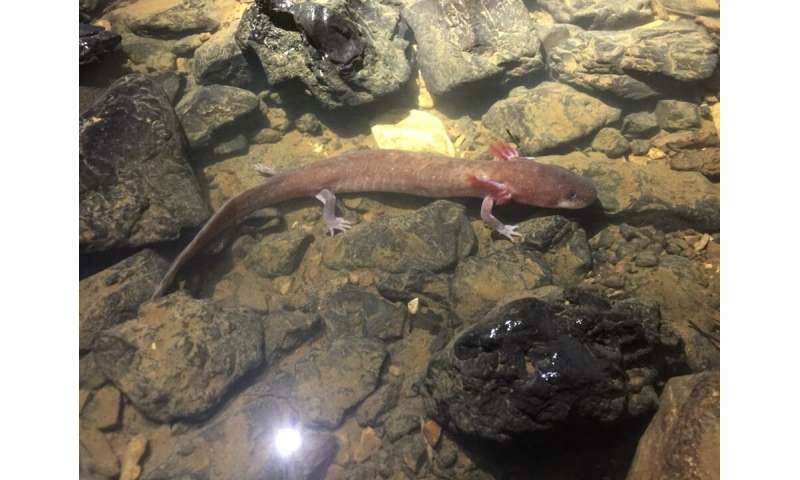 The largest specimen of Berry Cave Salamander measures 9.3 inches. Credit: Nicholas Gladstone/University of Tennessee, Knoxville. Living in caves underground doesn't necessarily mean that Salamanders never see daylight. Caves have entrances and, depending on where each Salamander is moving towards - the cave entrance could be a short or long walk/crawl. Nature is positive and is mostly kind to animals.